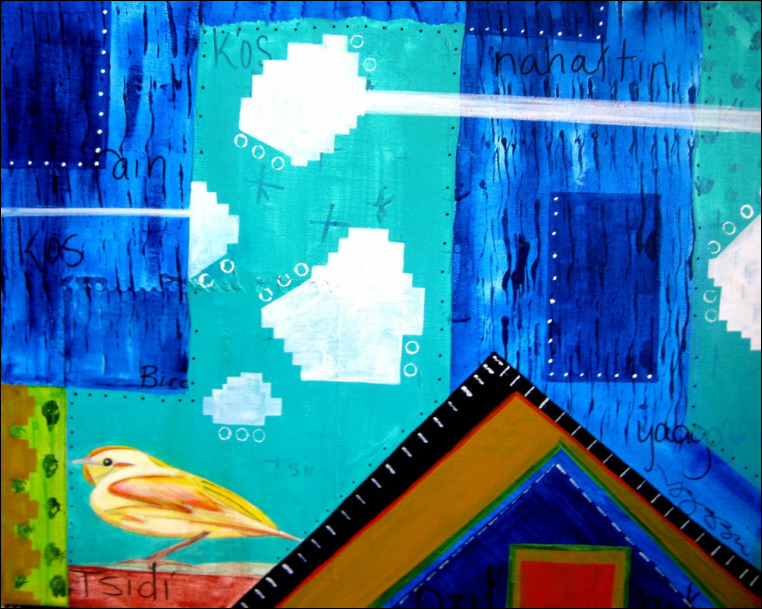 in this work i find inspiration from the revisited origin stories of my indigenous matriarchal heritage of Navajo and Hopi ancestors. 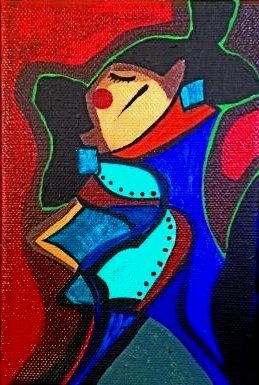 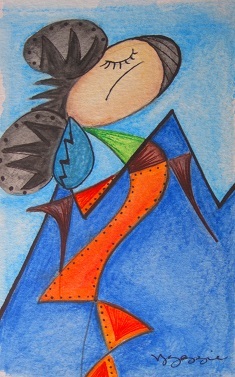 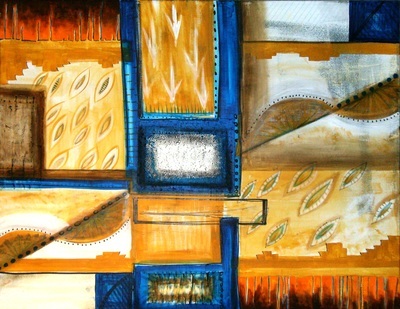 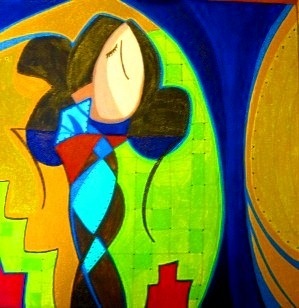 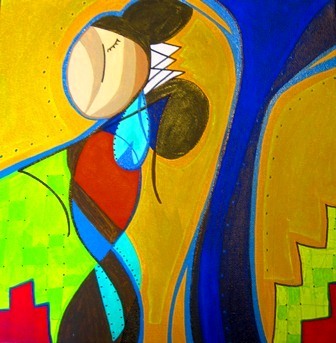 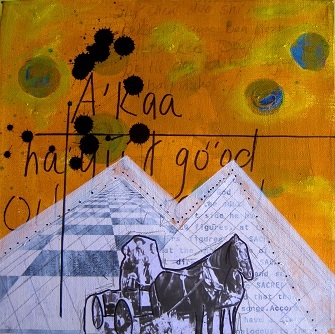 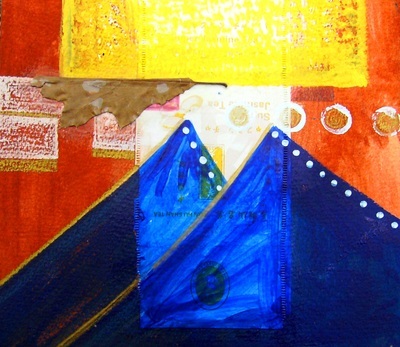 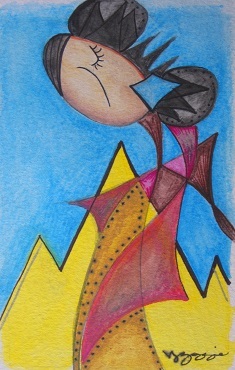 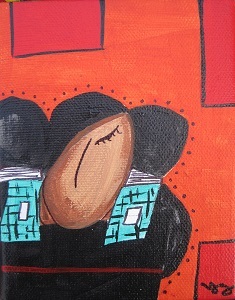 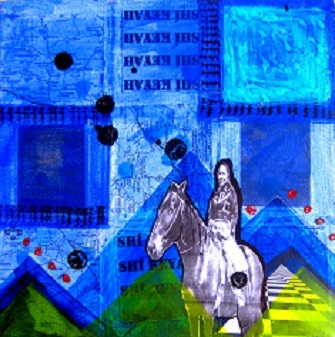 this work was wholly inspired by my cultural memory of my childhood on the eastern Dine' lands in New Mexico. 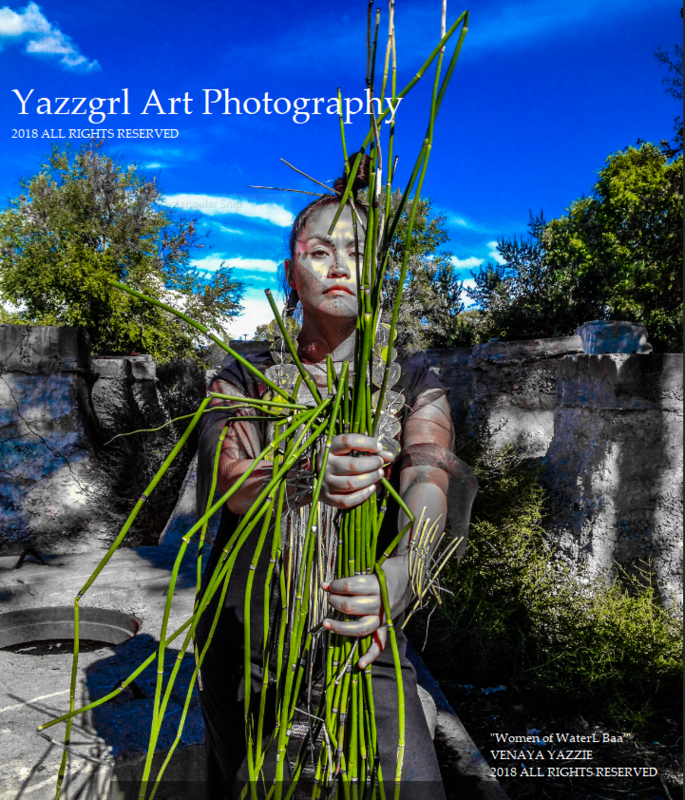 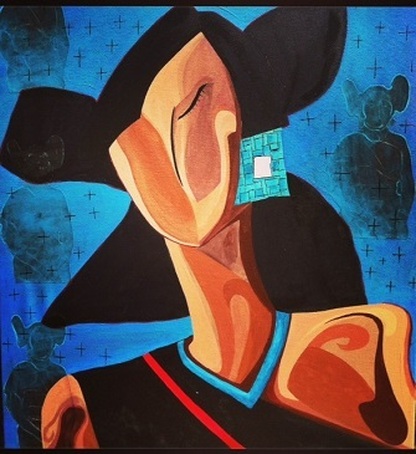 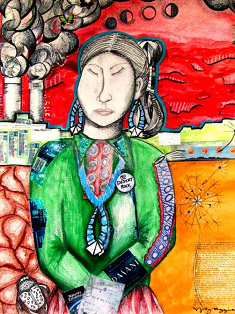 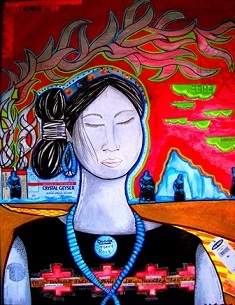 it concerns reservation/political boundaries of land and language, and too perpetuates dialogue of Navajo cultural adornment, matriarchy, and issues of the land and natural resources as they are connected to the spiritual and physical. 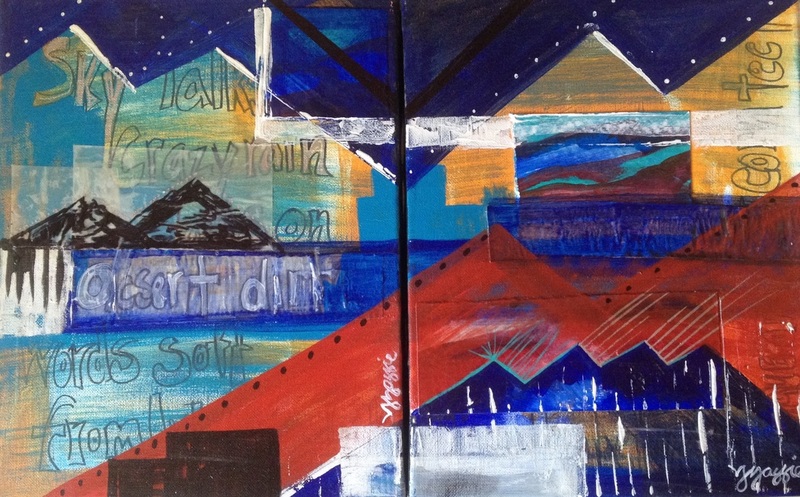 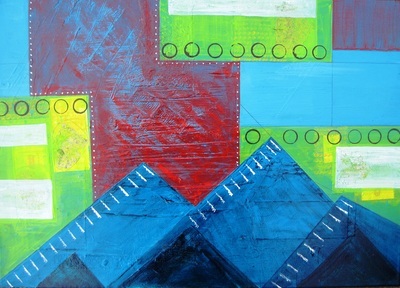 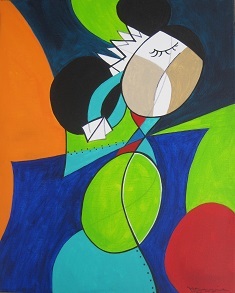 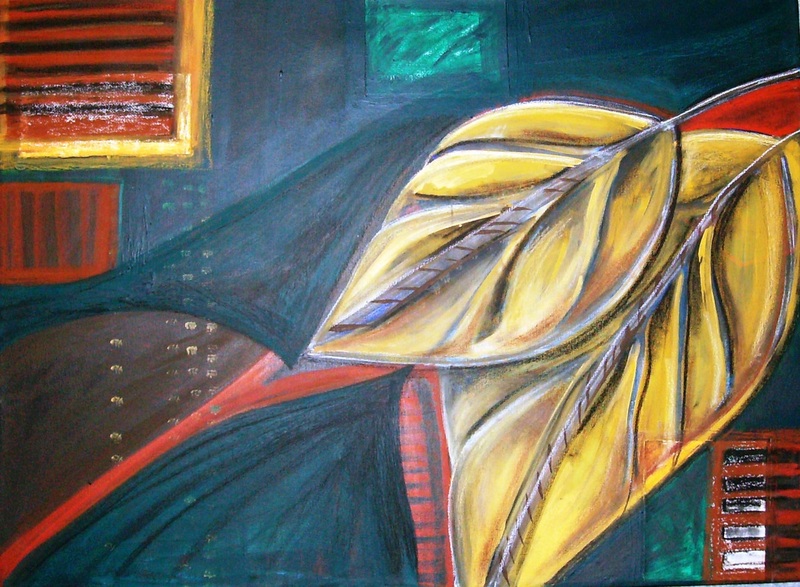 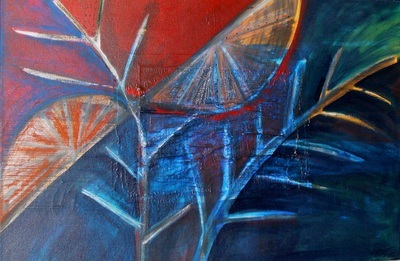 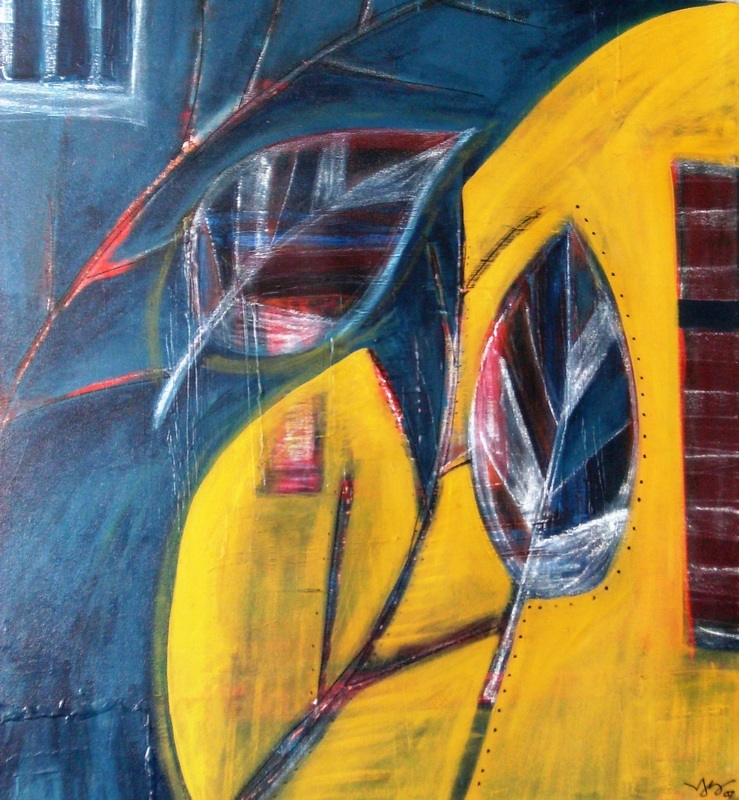 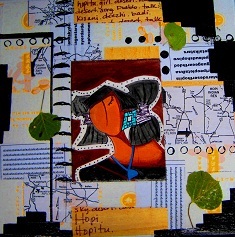 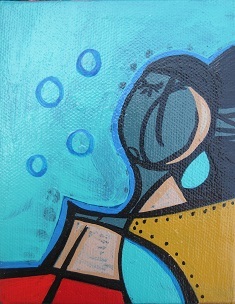 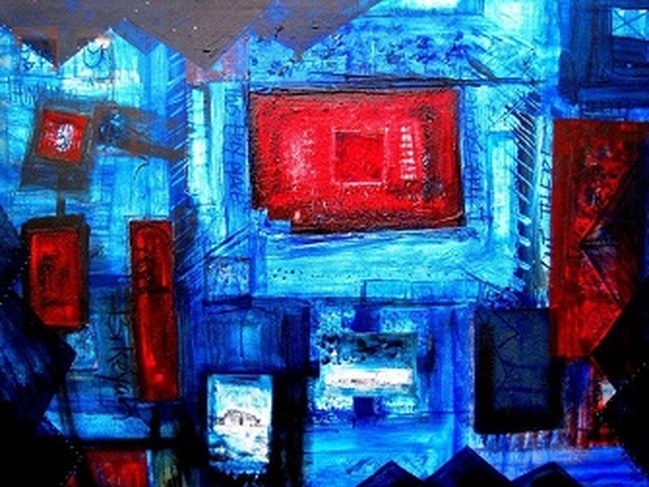 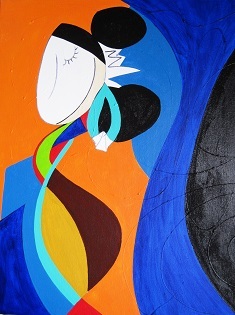 these works are mixed media acrylic pieces on canvas. 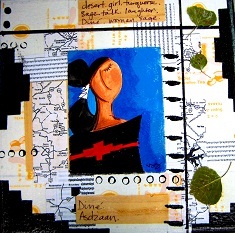 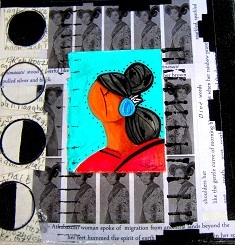 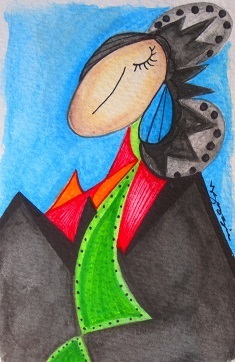 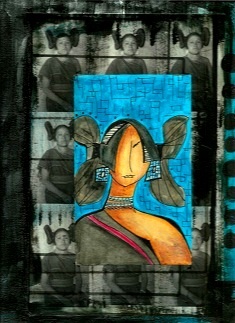 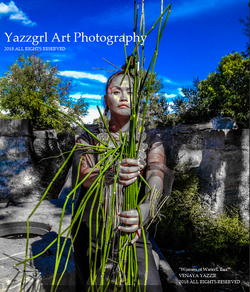 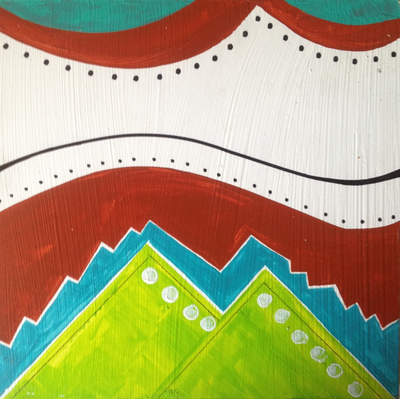 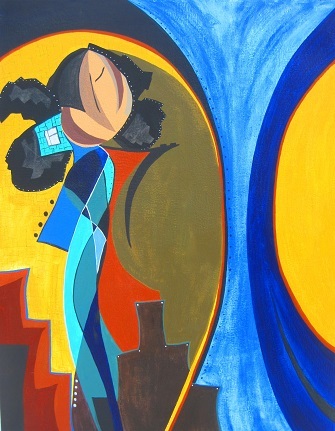 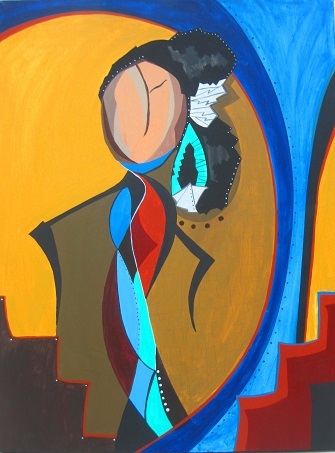 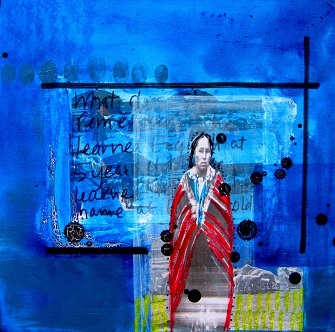 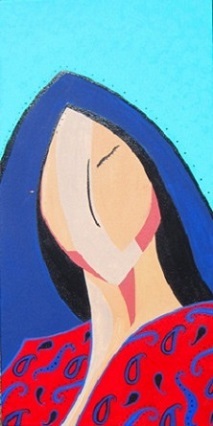 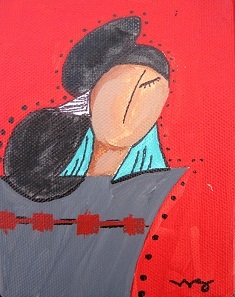 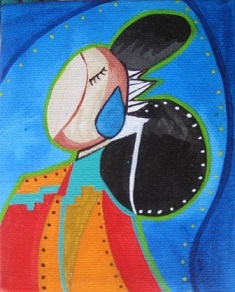 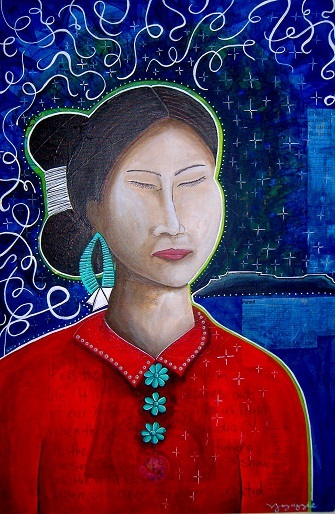 this body of work consists of the role of the southwest desert Indigenous woman. 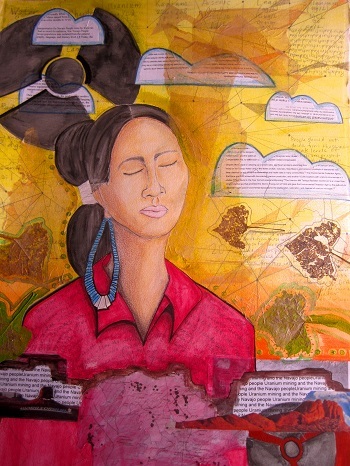 the concepts sought in the work concerns: trek, migration, cultural adornment, matriarchy, happiness, reflection, prayer, solace, strength, trails, mapping. 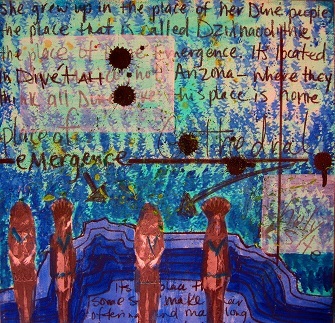 this series concerns the concepts of Navajo and Hopi migration in the oral histories of the desert people. 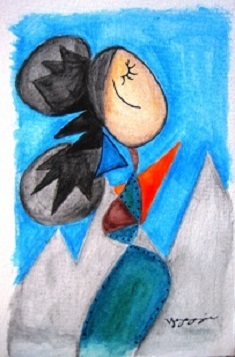 .bird talk sky talk mountain. 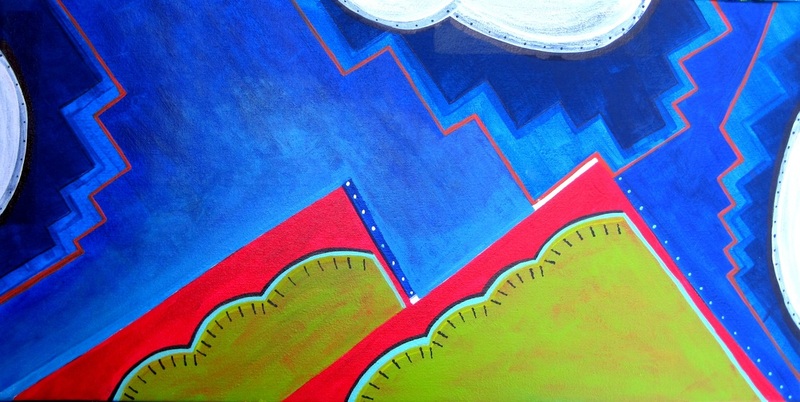 .sky meets earth - landscape series. .organic matter - earth collisions series.